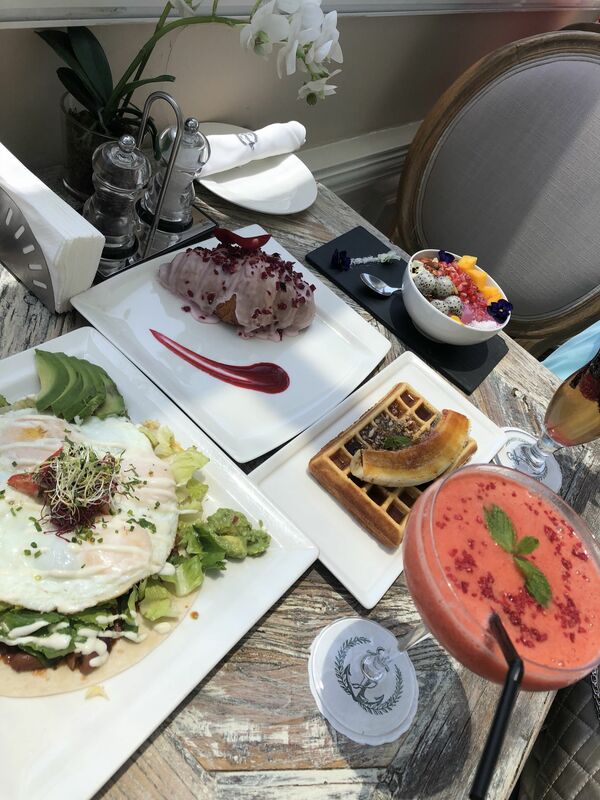 With a great brunch joint at every corner of every street in Dubai, it’s hard to know which ones to try and which ones to leave out. I feel that I have some staple favourite restaurants that I love visiting every time I’m here, but I never thought the weather would govern where I can and can’t go to eat. My sister had the day off so we decided to go to The Hamptons in Jumeirah. It was on both our lists so we headed down there. 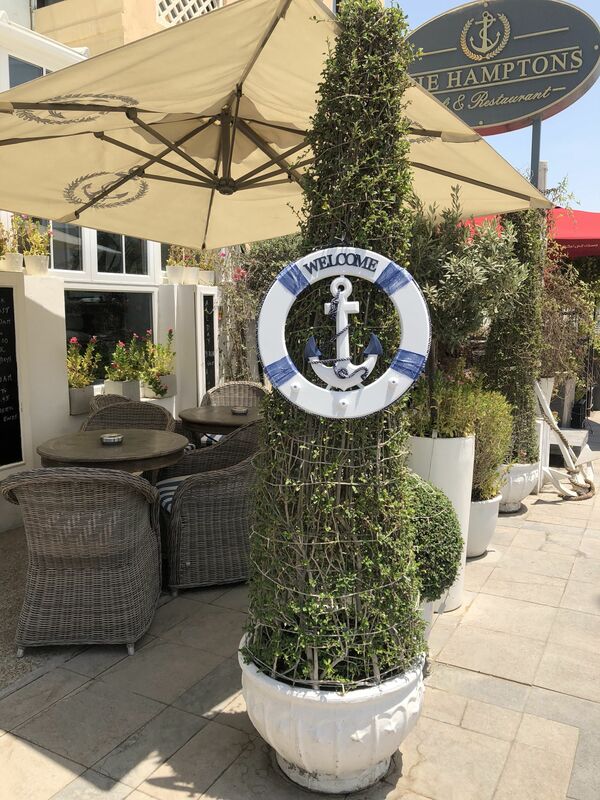 The outside area was so cute with a bit of a nautical theme, but unfortunately in 40 degrees heat so inside we went. 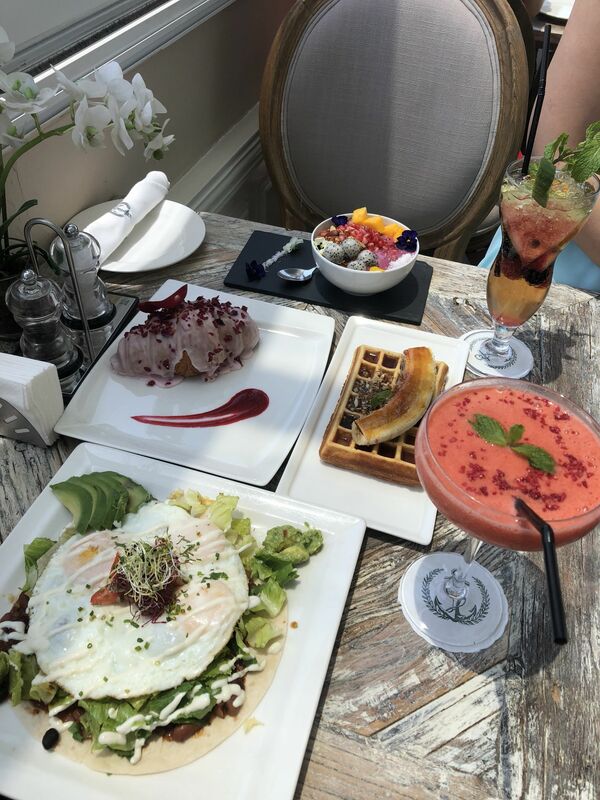 And we ordered and ordered and ordered some more… Drinks, breakfast, desserts.. and annihilated it! 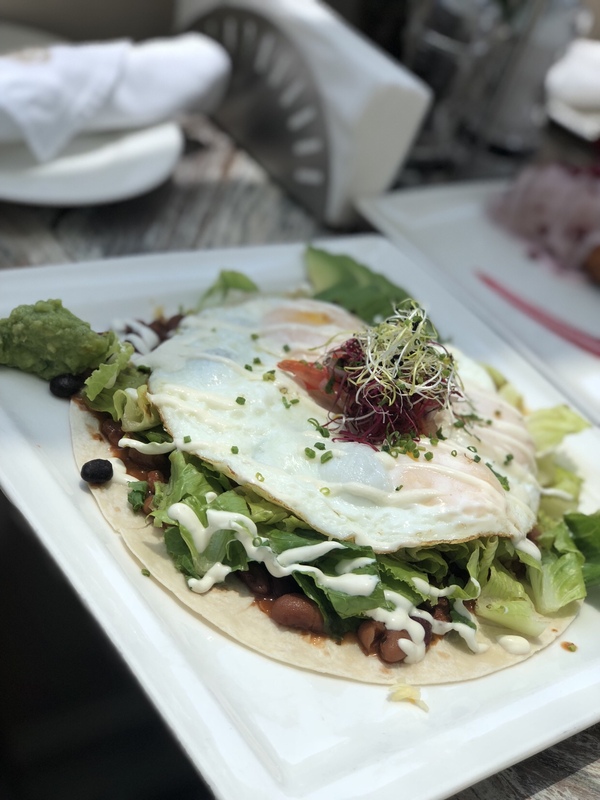 I got The Hamptons Tostada and it was brilliant – tortilla, with melted cheese, beans, more cheese, 2 fried eggs and avocado on the side! My mouth is watering as I think about it! 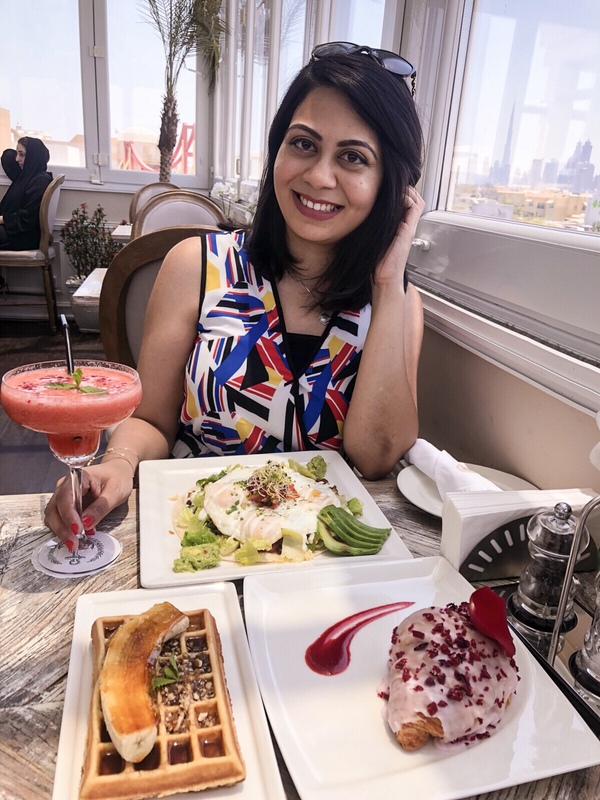 My sister had the Chia Bowl – she is clearly more responsible with her food choices than I am! We also got the Rose and Raspberry Croissant, and the Banana Nut Waffles. 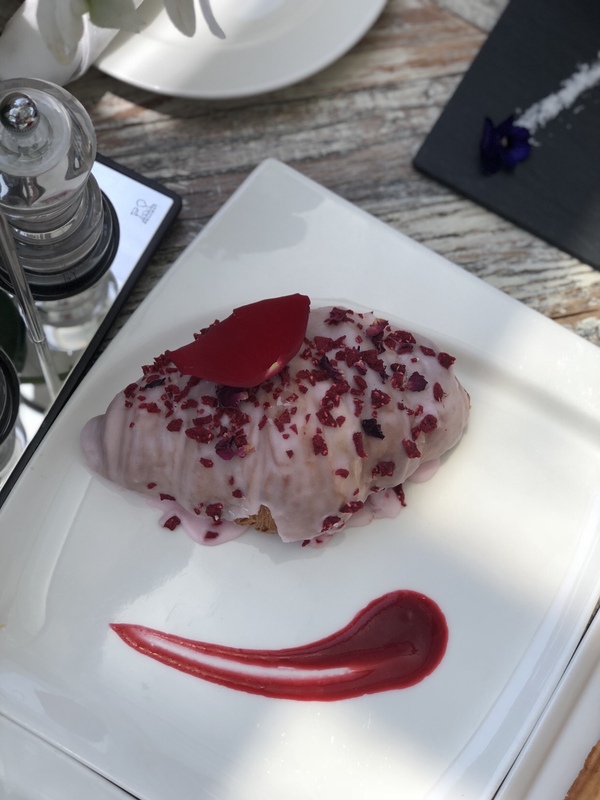 The Rose and Raspberry Croissant was so nice, but nothing out of the ordinary, I have made this at home before (need to post that recipe soon) and it wasn’t any different to be honest. 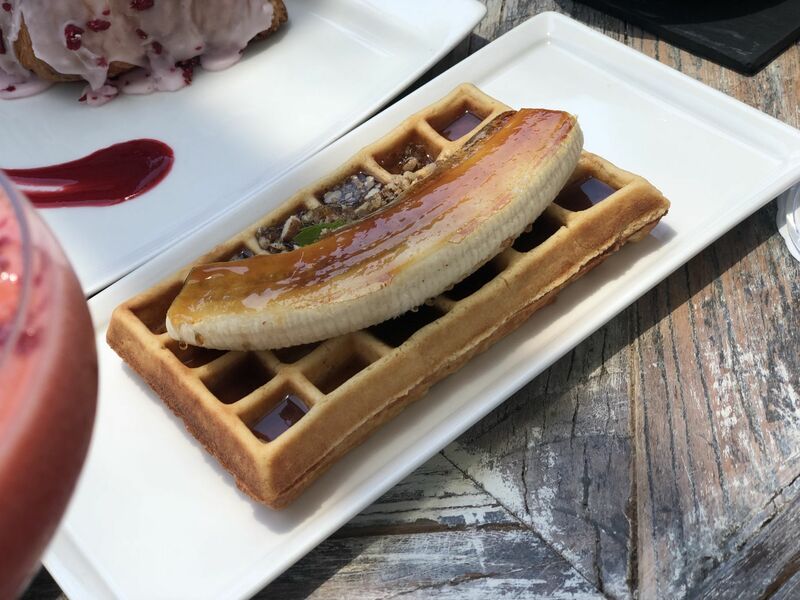 The Banana Nut Waffle was beautiful, the waffle was so moist and soft and the banana and banana flavoured maple syrup just worked so well together. LOVE! Overall I LOVED it! The vibe was so chilled out, it’s baby/child friendly, the service was great, the food was good and they had a sofa in their bathrooms – SOLD!! Overall, giving The Hamptons a total TLH score of 8 out of 10.